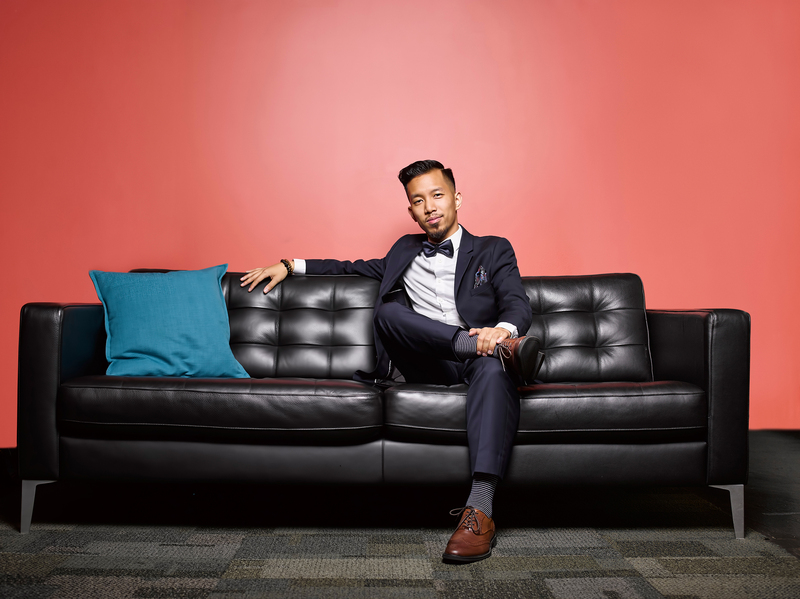 Hampton alumni and former campus DJ, Andrew “Audio” Nguyen is in the process of expanding his business the “O Agency.” Nguyen, a member of the Ogre Phi Ogre 14 class was a five-year MBA major and understood the importance of establishing a strong network across the campus. His business savvy has propelled him into successfully creating a brand and performance marketing agency that focuses on professional athletes, small businesses, and contractors. The O Agency works to elevate their client’s brand whether it be through social media or traditional marketing. Nguyen gave insight on how he started his agency, and what his plans are in the future. Q: Give a detailed rundown of your business. A: We are a brand & performance marketing agency. We help everyone from startups to gov. contractors to all-star NFL & NBA athletes brand themselves, tell their stories, build audiences, grow their business and fulfill their dreams. We’ve worked with brands that have 10 followers to 1 Million followers such as @dribble2much. Some of our recent clients have included, Pepsi, 7-Eleven, Rolls Royce, & our pro-athletes include Victor Oladipo, Tyrod Taylor, DeAngelo Hall, Jordan Reed just to name a few. Q: How long has your business been around? A: The O Agency started in 2013 right after I graduated from HU’s 5-year MBA program and at the same I was working a full-time job at PepsiCo. The first year was the hardest, I would start at 5am for Pepsi come home around 5pm then put in another 6-8 hours for @theOagency. I was also HU Athletic’s official DJ at the time so if there was a game, I would drive an hour down to Hampton, DJ from 6-10pm for a double header drive an hour back, then put in a few more hours for my company. That first year I was grinding, easily 20 hour days, every single day. But the adrenaline was keeping me going and I knew this was something I was destined to do. I enjoyed every minute of it, even though I was only getting a few hours of sleep every night. Q: What are some things you did in college as a student before you became an professional entrepreneur after graduating? A: I loved networking so I joined as many clubs as possible. I did Society of Business Professionals, Future Business Leaders of America, American Marketing Association, Pre-Pharmacy Club, Mr. Senior etc. and of course my favorite The Greer Dawson Student Leadership Program. Q: Were there any other businesses that you started in school but then failed on? A: Freshman year I put a sign on the door “Audio’s Barbershop” and cut hair in James Hall. $5 all day! It used to pay for my holland parties and extracurricular night activities lol. Of course then I became one of the main campus DJ’s right after DJ Tay James left (Justin Biebers Official DJ) That made more money, so no need to pay for parties & cut hair. As I entered by 5th year, I made sure the new upcoming boys were set up so we would all break bread together doing events. Non of it failed, I just leveled up and stopped doing it. Trading time for money is limiting. Having a hustle is cool. Having a company with systems, processes, and automated marketing is cooler. Q: What are some things you did well and some things you would have done differently? A: My gift and passion always boiled down to branding & marketing. No matter what I did, wether I was cutting hair, DJ’ing in front of sold out Norva Concerts, or throwing the hottest homecoming parties. One of the biggest keys I preach now is to “Differentiate & Target”. Once you have the master skills of business and entrepreneurship, I do everything different, it’s the only way to stand out! Q: How important is it to extend your network beyond Hampton? A: Very important. I will say that Hampton however is one of the most amazing networks I have ever experienced. If you take advantage of it in school and build meaningful relationships with student, staff, and faculty it will pay off 10X! As a student and recent grad, it can feel like a bubble, but everything you go through at Hampton really makes you better and stronger for the real world. It’s big enough where you can pretty much go to any city and find Hamptonian’s but it’s small enough where everybody will greet you & connect with you like family. Q: How did Hampton’s business school enhance your knowledge in the professional business field? A: The 5-year MBA program was the greatest thing that happened to me in college. Funny thing is you just don’t realize it until after you graduate. I was definitely a little shy when I first started the program, by my 5th year, I was the most confident and well prepared I have ever been in life. After my 5th year, I had like 5 job offers all around the country. I give credit where credit is due like Dean Credle says so there it is, Shoutout to HU’s School of Business. Did they get a new building yet btw? Q: What are some innovative ideas that you are working on to enhance your entrepreneurship ? I’m ALWAYS learning and enhancing. You have to stay INNOVATIVE in today’s world to compete. Everything I do right now is around the Tech field, Diversity Enhancement, and Millennials. If you focus on those 3 areas there will be a lot of money there in the next 5-20 years guaranteed! Q: How do you factor in diversity in to your business ? A: Diversity is very important to me. I am a minority and as a graduate of Hampton University so I want to be able to put on for fellow Hamptonians and HBCU’s all across the country. I will actually be looking for summer interns this summer in almost every major city across the US because we have some BIG expansion plans and EVENTS ie. LA, ATL, DC, Detroit, NY and more! People can email us atwebrand@theOagency.com if their interested now! A: Last year I went to a conference and their were 10,000+ people, all white americans. I’m going to create something even bigger and sexier, but when you look around it will be a much better representation of what America looks like today, 10,000+ diverse minorities. Everyone in there striving, growing, learning about marketing & entrepreneurship. That’s in the works right now and I’m really excited to launch that soon! If you want you can always stay updated with what I’m doing @BrandWithDrew or check out my personal site brandwithdrew.com.